Glo tariff plans call rates calculations and their migration codes for 2019. The cheapest and best Glo call plan money can buy. Among them are Glo bounce, Glo bumpa, Glo jollific8, Glo infinito and Glo 11 kb/s prepaid plan. Inside are also call rate calculations and benefits for each Glo tariff plan. I won’t bore you with a long list of irrelevant or discontinued plans. Glo tariff plans inside this article are the best and affordable call plans right now. You can make both local and international calls with these Glo call plans. Glo Tariff Plans Plus Migration Codes June 2018. Check out the best and cheapest Glo tariffs. Including their migration codes, call rates, benefits. 1.) Glo Bumpa Tariff Plan. Bumpa is the first on our list. It is one of the oldest Glo tariff plans. I have known about this tariff plan since 2014. Let’s talk about bumper tariff benefit before its call rate. Airtime recharge of 100 Naira and above on bumpa rewards you with 200% bonus airtime. What this means is that if you recharge N100 Naira, you will get 200 Naira free airtime. Your total airtime will be 300 Naira. Call rate of bumpa tariff is 55 kobo per seconds (kb/s). 55 kobo – 1 second. X – 60 seconds (1 minute). If we cross multiply, X = 60 x 55 = 3,300 kobo in 1 minute (60 seconds). But 1 Naira = 100 Kobo. Therefore, 3,300 Kobo to Naira = 3300/100 = 33 Naira. Meaning Glo bumpa tariff plan call rate is 55 kb/s or 33 Naira/Min. So with 100 Naira airtime recharge that gives 200 bonus making the total airtime 300 Naira, here is how long call you will make. 33 Naira – 1 minute. X = 300/33. X = 9.09 minutes. So with 100 Naira airtime recharge, you can call for 9.09 minutes. 18.18 minutes with 200 Naira airtime recharge. Dial *100*10*1# to migrate to Glo bumpa tariff. 2.) Glo Bounce Tariff Plan. This another great call tariff plan from Glo network. Call rate of bounce tariff plan is 15 kb/s. But calls to other Glo bumpa subscriber will be charge at 11 kb/s. Let’s digress a little and do some elementary calculations. 15 kobo – 1 second. X = 900 kobo per minute. If 1 Naira = 100 kobo, Then bounce call rate is 9 Naira per minute. And for calls made to other Glo bounce customers, the call rate = 11 x 60 = 660 kobo per minute. So let’s say you recharge your Glo line with 100 Naira airtime, let’s calculate the talk time. For the normal call rate of 9 Naira per minute. 9 Naira – 1 minute. X = 100/9 = 11.11 minutes. 200 Naira airtime = 22.22 minutes talk time. For call to other Glo subscribers. 6.6 Naira – 1 minute. X = 100/6.6 = 15.15 minutes. 200 Naira airtime = 30.30 minutes talk time. 15 MB bonus data on recharge of 200 Naira and above. Dial *170*4# to migrate to Glo bounce tariff plan. 3.) 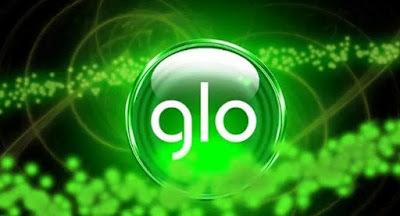 Glo Jollific8 Tariff Plan (800% Bonus Airtime). This is one of the cheapest and best Glo tariff plans. But there is a catch, you can’t migrate to the jollific8 tariff. You need to get a new Glo sim card to enjoy the bonus airtime jollific8 tariff plan is offering. Bonuses from this Glo call plan varies with the amount you recharge. Just like on mtn xtravalue bundle. 100 Naira airtime recharge gives N800 + 10MB (N50) = N850. 200 Naira airtime recharge gives N1,600 + 25MB (N100) = N1,700. 500 Naira airtime recharge gives N4,000 + 50MB (N200) = N4,200. 1,000 Naira airtime recharge gives N8,000 + 100MB (N400) = N8,400. 5,000 Naira airtime recharge gives N40,000 + 500MB (N2,000) = N42,000. Jollific8 call rate is 67 KB/S. The rate seems high but considering 800% bonus I think you will pass. Let’s do a little calculation. 67 kobo – 1 second. X kobo – 60 seconds. So let’s say you recharge your Glo line with 100 Naira and received 800 Naira on jollific8, what is the talk time? 40.2 Naira – 1 minute. 800 Naira – X minute. X = 800/40.2 = 19.9 minutes. That is whooping 19 minutes 54 seconds talk time with 100 Naira recharge. What about 200 Naira recharge? 1,700 Naira – X minute. X = 42.29 minutes. That is 42 minutes 17 seconds talk time guys. Jollific8 seems to be the cheapest Glo tariff plan at the moment. We are still left with Glo infinito and 11 kb/s prepaid Glo. Like I said earlier, old customers can’t migrate to this tariff plan, you need to get a new Glo sim card to enjoy this mouth-watering offer from Glo. 4.) Glo Infinito Tariff Plan. This is another cool Glo tariff plans. Let’s see what it has to offer. You are permitted to registered 10 family and friends number and call them at the rate of 11 kobos per second. To register a new number, Dial *101*1*number#. The call rate of Glo infinito is 20 k/s to all Nigerian networks. But calls made to the 10 registered phone numbers will be charged at 11 k/s. From Glo bounce calculation, we arrived at 15.15 minutes talk time for 100 Naira airtime recharge at the rate of 11 K/S for friends and family. The call rate is 20 K/S. That is 1200 Kobo per minute or 12 Naira per minute. For 100 Naira airtime recharge, the talk time is 8.33 minutes. I will recommend you add your frequently call numbers to the 10 family and friends numbers. 5.) Glo 11K/S Prepaid Plan (Gbam Plus). Apart from Glo jollific8, this plan is the best Glo tariff plans. Why? Because you can make both local and international calls at the rate of 11 Kb/Sec. But there is a catch. You will be charged 5 Naira daily access fee. What this means is that if you recharge N100 and leave your sim for 20 days. By the time you check your balance, you will have 0 Naira. N5 daily access fee. for 20 days, it is 20 x 5 = 100 Naira. Glo Gbam Plus Call Rate. You can make a local call and call to 30 foreign countries including US, UK, China, India for 11 k/s. The call rate is 11 K/s or 6.6 Naira per minute. For 100 Naira airtime recharge, you have 100/6.6 = 15.15 talk time. That’s 15 minutes 9 seconds for both local and international calls. Glo 11K/S Prepaid Migration Code. Other great Glo tariff plans you can also check out is IDD (International Direct Dialing) packs. You can call the major international countries at a call rate of 11- 14 k/s. Dial *777# >> voice profile & packs >> call 30 countries at local rates to check out the available packs. That’s all folks on the cheapest and best Glo call plans. If you know of any other affordable Glo tariff plans, don’t hesitate to hint us about it via the comment box. Next articleHOW TO READ FOR LONG HOURS WITHOUT GETTING TIRED.